"I remember when there used to be rules and hobby articles." "Now it's just a big advertisement!" And certainly all of that's true, but it's familiar ground. I accept that White Dwarf magazine is dead and gone. I've read a few of the slim pamphlets that bear the White Dwarf name and to them I say: "I knew, White Dwarf, sir. And you are no White Dwarf." Of Warhammer: Visions I had almost no interest at all. Until I received a copy as a gift. 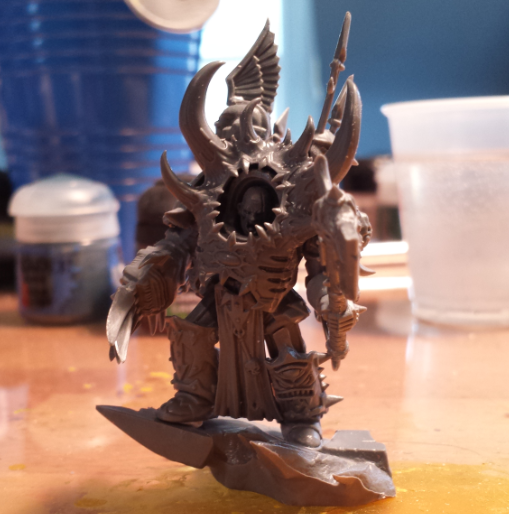 Plastic Helbrutes are coming, and that means more bits for conversions. 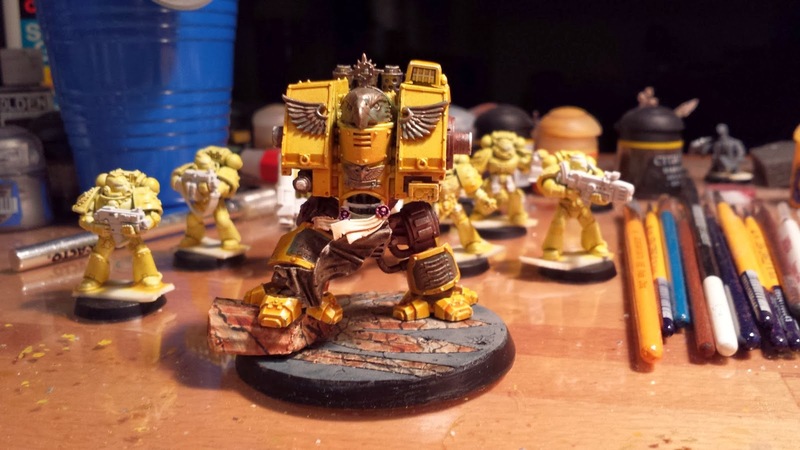 Here's a quick digression from Imperial Fists to show a WIP model from the Word Bearers army I was working on before the Adepticon madness started. Remember, you saw it here first! I'm Jason. I'm here to play games with cool space people and have fun painting toy monsters.